Block websites that should not be on your network, both for increased security and protection. Limit data-heavy applications on your network to prioritize the ones that truly matter. Set up a network for your staff and one for your guests to increase securiy. Notice right away if there are any high usage devices clogging up your network. Manage your netowrk from the Meraki Go app, anywhere in the world. An IP67 rating means that your devices are protected against the negative effects of rain and dust. 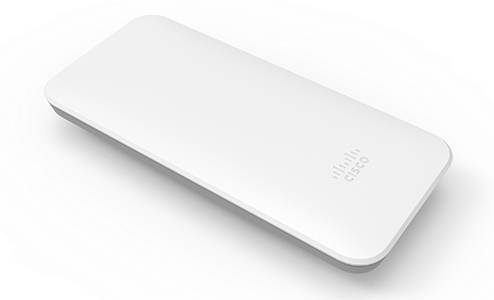 Available on Meraki Go Outdoor Access Point only. 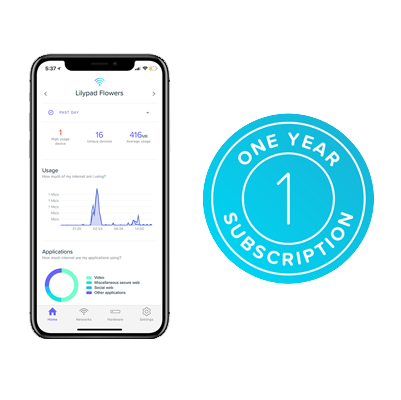 Each Indoor and Outdoor Access Point requires an active Go subscription, which provides a 1-year hardware warranty, security updates, and in-app support. 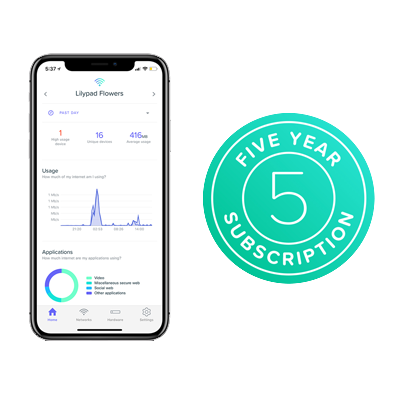 The Meraki Go smartphone app makes it simple to get started with Guided Setup and Usage Insights that alert you the the health of the network. Within the Meraki Go smartphone app, you can also set up alerts for bandwith overuse or a network going offline, and be proactively alerted of any issues that may arise.